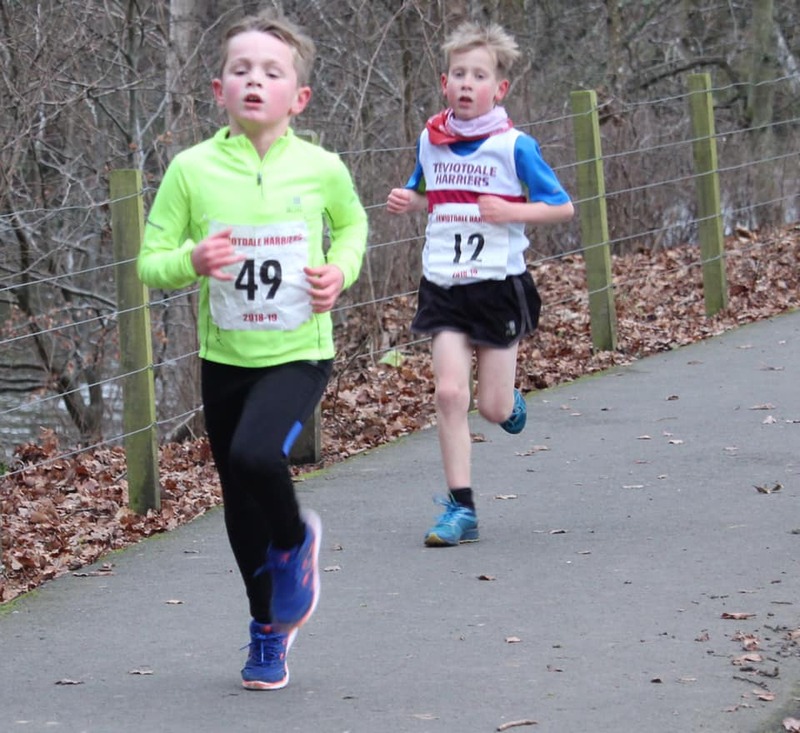 Two families dominated the Langheugh Races at Wilton Lodge Park on Saturday as Teviotdale Harriers hosted their first race of 2019. Paul Lockie, Lisa Welsh, Robbie Welsh, Greg Watson and Erin Clarkson were the title winners but on a cold but dry January day that was only half the story. Mother and son duo, Lisa and Robbie Welsh claimed category victories whilst the Lockie family enjoyed a 1-2-3 finish in the men’s race. Father Paul ultimately claimed the title, but sons Duncan and Gavin had the honour of crossing the line in first and second with dad in third. Duncan and Gavin however are classed as non-competing members and are ineligible from claiming medals, so Paul was promoted to gold. 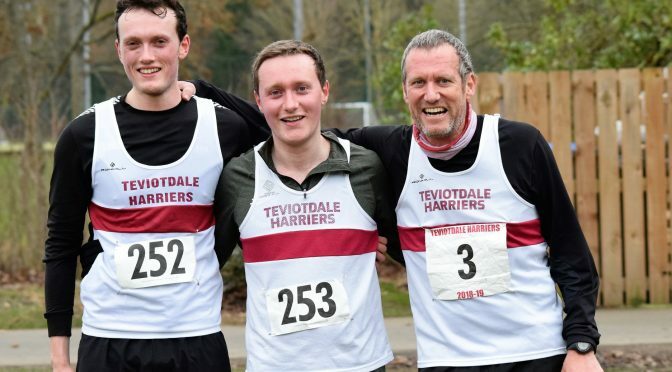 One of the most challenging cross-country races in Scotland, the men’s 5.6-mile Langheugh Trophy race is a prestigious title to win and Paul Lockie added his name to its rich history. A total of 16 men started the race, in very favourable conditions, however only 15 finished after Ron Hastings failed to navigate his way around. Duncan and brother Gavin were the first two home but the medals were decided within the next group. Long time leader Frank Birch eventually succumbed as Paul Lockie reeled him in with only around 400m of the race to go. Paul crossed the line a mere 15 seconds in front of second placed Frank with third place finisher Bruce Hughes a further 40 seconds back. Bruce’s (39:08) run was recorded as the fastest actual time. 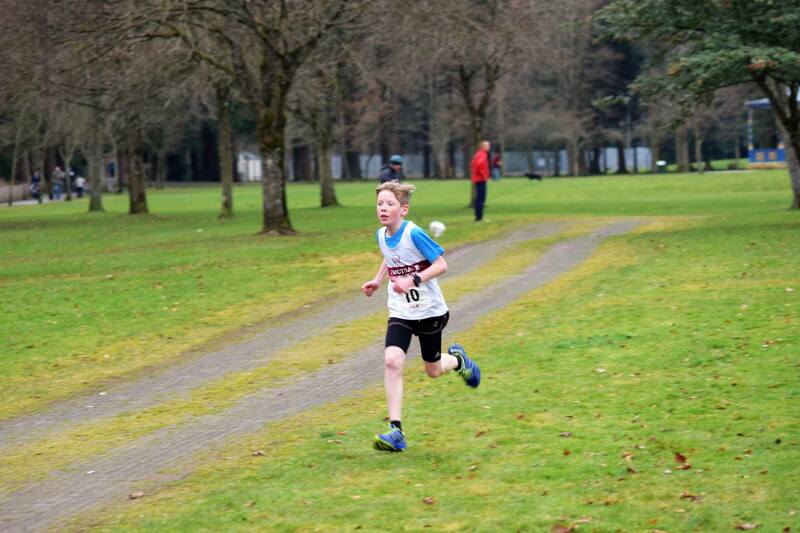 In the exciting Ladies and U15/17 Boys and Girls race, with 15 competitors registered, there was a Welsh family double. Mum Lisa won the Ladies race and son Robbie the boys. With the winning margin again only 15 seconds, Lisa had to race right to the line to taste victory. Ann Aitken looked like taking second but the fast finishing Eilidh Jaffray had other ideas. 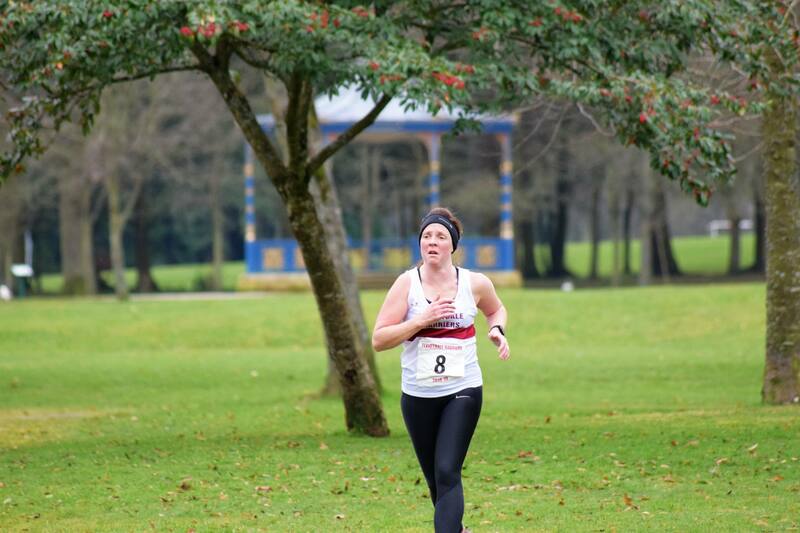 With around two meters to go Eilidh edged in front of a determined Ann to take second. Eildih’s (14:47) impressive run was the fastest actual time. The boy’s race was another tight affair as another fast finishing back marker, this time Fraser Clyne, ate up the ground as he chased leader Robbie towards the line. With mum and ladies’ champ Lisa waiting at the finish-line, Robbie was given plenty of encouragement towards his victory. Robbie held on well with Fraser only eight seconds behind and third placed Conan Harper only a few strides further back. Fraser (12:38) recorded the fastest actual time. The first race held was the U11/13 Boys and Girls race with 13 runners eager to get under way. Greg Watson led them all home in some style to take the boys title and Erin Clarkson showed plenty fight as she refused to relinquish her gold medal position in the girl’s race. Greg looked strong all the way to the line to win, with Glen Jamieson running extremely well in second. The youngest of the Welsh clan, McLaren, turned his little legs as fast as he could, desperate not to be caught and rightfully earned his bronze. Irvine Welsh (7:50) not to be outdone by the rest of the family recorded the fastest actual boys time. Long-time girls leader Erin looked as though the long home straight may be her undoing as Iona Jamieson chased her all the way. But huge credit to Erin as she gave her all and claimed the victory by only two seconds from Iona. Ava Hughes completed the podium in third. Iona’s (7:55) run was the fastest actual time. 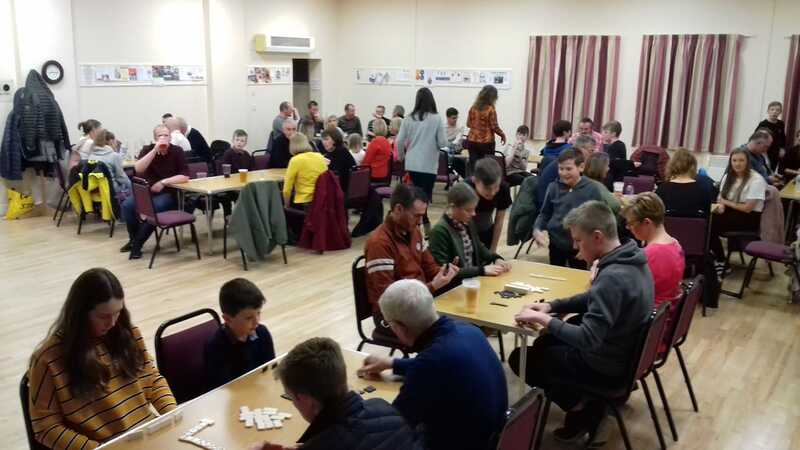 Degsy’s annual Langheugh dominoes completed an eventful day with Pye Reid eventually taking the title by beaten Ava Hughes in the final. 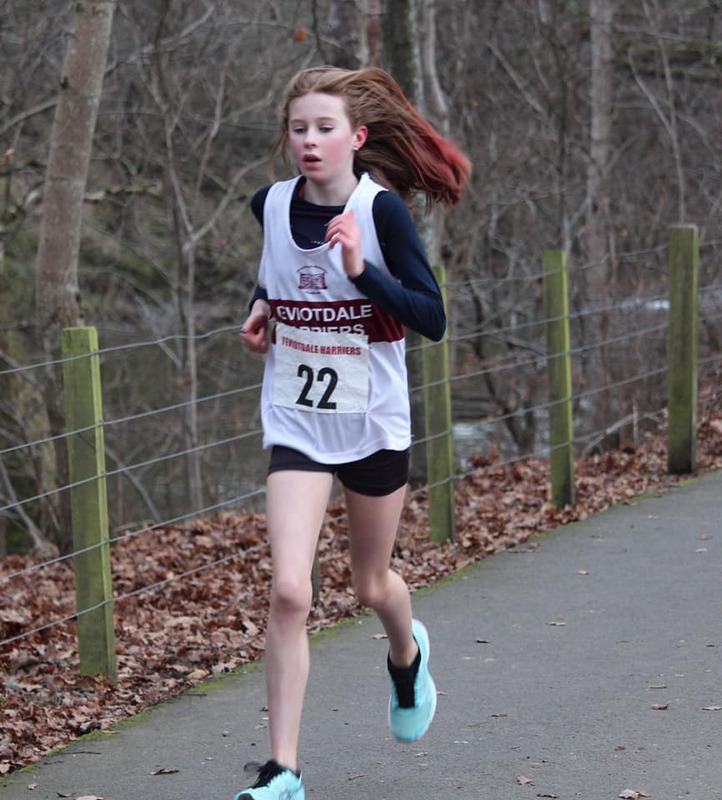 This weekend see’s three runners from the club selected to represent the East District in the Inter District Cross Country Championships at Stirling. Fraser Clyne, Eilidh Jaffray and Iona Jamieson have once more been selected for the East District. Well done and good luck Fraser, Eilidh and Iona.